We’ve made quite a few trips over to Wales this month to see Grandpop, Grandma and Great Uncle Brian. It’s been nice to get out in the car and give the car seat a good run. Dexter has been great in the car recently, he looks out of the window and watches the world pass by. I always make sure he has his dummy clip with him so he can use his dummy if he wants, but he’s able to fall asleep without it when he’s travelling in the car. During one of our trips to Wales, we went to Greenfield to visit the Heritage Park. Unfortunately, the facilities were all closed due to it still being the winter season. It’s definitely somewhere we want to go back to (and write about!). There’s a farm, museum and cafe and the scenery is beautiful.We went down to Talacre beach instead and had a wander around the shops and up the sand dunes before retiring for lunch in the Bells of St Mary’s. I love a good carvery! Dexter had a bit of his packed lunch and some scraps from my plate plus a sneaky chip which an elderly gentleman passed him from his plate! The warm weather also made me remember we have a balcony. It is seriously not a welcoming place during the winter months! The wind and rain batters it as it flies off the Mersey. Dexter and I spent an hour or so playing on the balcony, me having my heart in my mouth for most of it. It’s one hundred percent safe, but the see through glass barrier doesn’t help my butterflies. 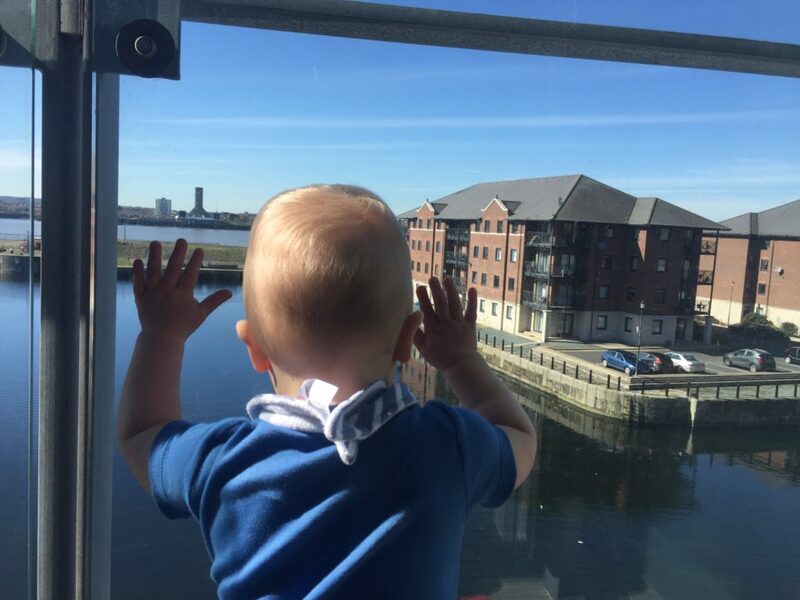 Dexter loved standing up and watching the boats pass by on the Mersey. We will be seeing a lot more of them as the cruise season really ramps up over the next couple of months. The cruise liners dock about 100 metres outside our house so it will be great to go down and visit them and see them arriving from our balcony. We made a couple of trips to Aintree this month to have coffee with one of my friends. They have opened a brand new Next with a Costa coffee upstairs which is lovely. Now that Dex isn’t having that many naps or bottles during the day, I feel much more liberated. I don’t feel confined to the house like I did before. 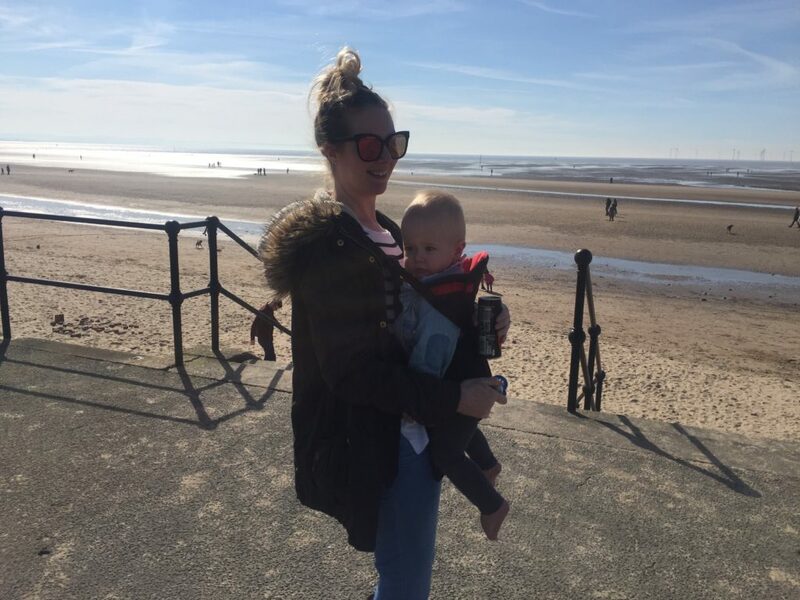 I hated making bottles on the go and trying to get him to sleep anywhere other than his cot. He is always so well behaved when we go out as well for the most part. He will sit happily in the highchair and munch on his fruit and sandwiches. We also had a lovely day out to Calderstones Park this month. It is an aim of mine to visit all the parks before we move away from Liverpool, so I am pleased we have crossed this one off the list. There is a lovely cafe inside the park with lots of books to read and delicious cakes. We had a little play in the park and enjoyed wandering around. Unfortunately, a lot of trees were damaged by hurricane Doris but a clean up is underway. Afterwards we picked up a KFC and Dex had his first taste of popcorn chicken. I love family time! When looking back at my Plans for 2017 post, I mention that by March, Dex may be saying a few words. Unfortunately, this isn’t the case. He is babbling ‘mama’, ‘dada’, ‘baba’ and screaming, a lot. 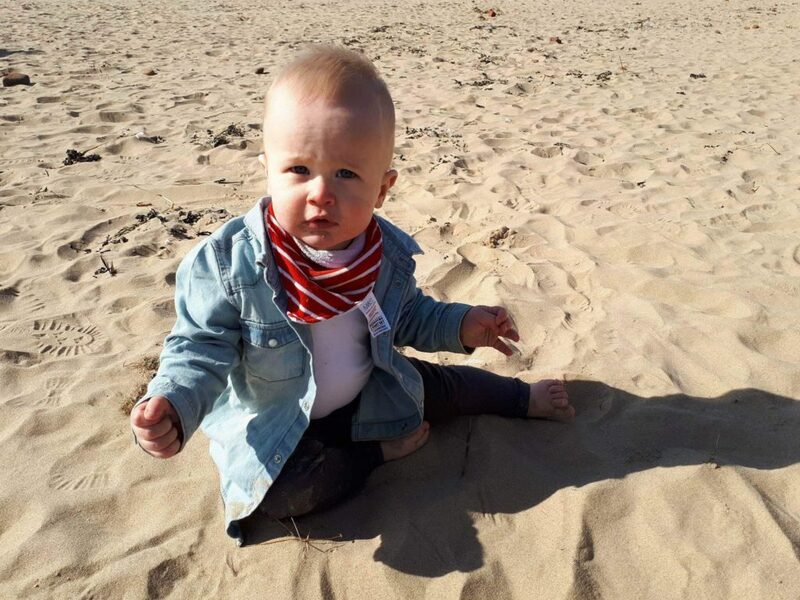 He is coming on leaps and bounds and you can read all about Dexter’s monthly updates here.